Nurse Mimi is here to help! Make your Mad Mimi emails Social! Comments Off on Make your Mad Mimi emails Social! What’s better than a Mad Mimi promotion? A Mad Mimi promotion connected to all your social profiles, and sharable by your audience! 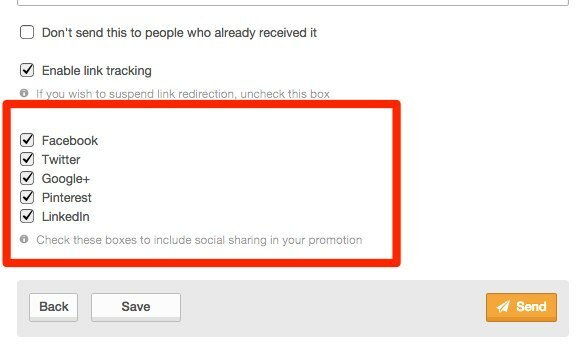 In Mad Mimi, there are two different types of “Social Links” that you can add to your promotions. The first are Social Icons, that link your users to your various profiles on all your different social platforms. The other are Social Sharing Links that let your readers share the email, themselves. You can also watch our great overview video of Social Tools, too! Watch a video on how to set up your Social Icons, here. You can connect any of your social profiles to your Mad Mimi account, and have each of them show up as an icon at the bottom of your Mad Mimi emails. (You can also change the position of them, using our Tweaks add-on, or insert them manually with our macro shortcuts, too.) Just click on “Add Things” at the top of any Mimi screen, and scroll until you see the Social Links option, and turn it on. Then you can set it up, from there. You won’t be able to see this row of icons, while you’re editing your promotion (you can read more about that, here). But they will show up on the Preview page, and when you send your email, for sure! The Social Sharing Links are a way for you to encourage your audience to get involved in the conversation, and share your emails themselves. We're members of the Messaging Anti-Abuse Working Group. Read Mad Mimi's Email Permissions Policy.